I discovered right away during my interview trip 21 years ago that Oregon was where I belonged. One of the managers found out I liked to hike and took me hiking in the Columbia River Gorge, then the other students and I had the weekend to go out the coast and explore whatever we wanted. That wonderful Gorge is a half hour drive to the east. My beloved Ridgefield National Wildlife is half an hour to the north (across the river in Washington). Snow-capped Mount Hood and Mount St. Helens are visible from Portland and an easy drive too. Well known for its waterfalls and wetlands and lush forests and rugged coast, all of which I dearly love, there are also high deserts and sand dunes and even redwoods all the way south. Scenes like this, a curious harbor seal poking up out of the surf at Yaquina Head on a rainy day at the coast, gave me as much pause about moving to Arizona as the summer heat. Oregon has so much to offer, so much that delights me, so much I will miss. Goodbye, I love you. 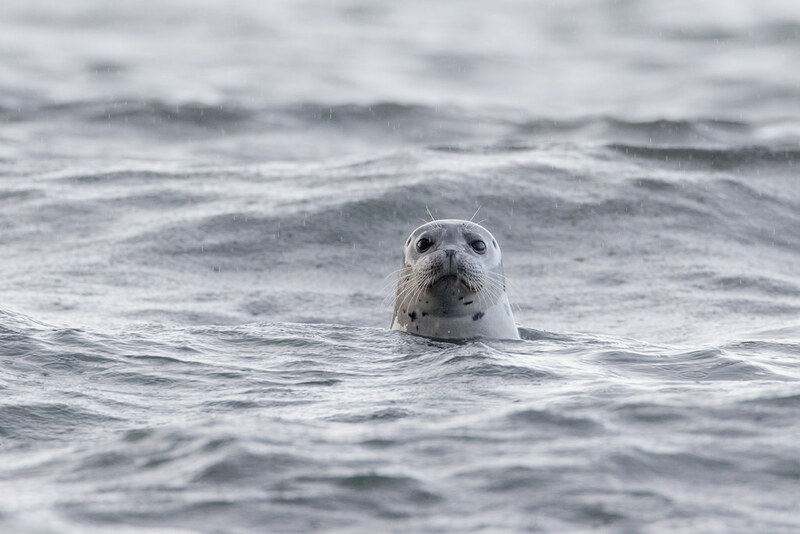 This entry was posted in Mammals and tagged Cobble Beach, harbor seal, Newport, ocean, Oregon, Oregon coast, Pacific Ocean, rain, swimming, Yaquina Head Outstanding Natural Area. Bookmark the permalink.